These noodles are downright indecent. I mean, it's not just me, right? They look like--well, you know what they look like. And to make it worse, they're soaked in a bright orange mixture of powdered cheese and artificial butter. You toss the crafty noodles down a nearby storm drain, hoping there aren't any teenage turtles hanging out down there to find it. The Pastalord smiles on you for what you've done to elevate the culinary arts. 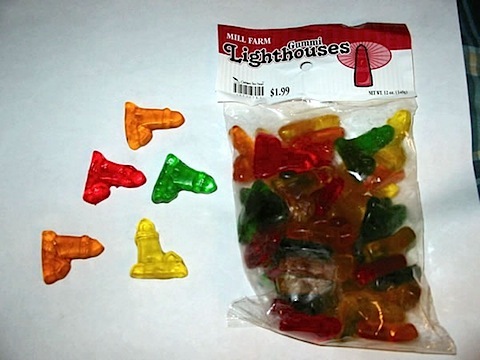 The nature of the indecency is revealed by the image name, which points out the resemblance to lighthouses.